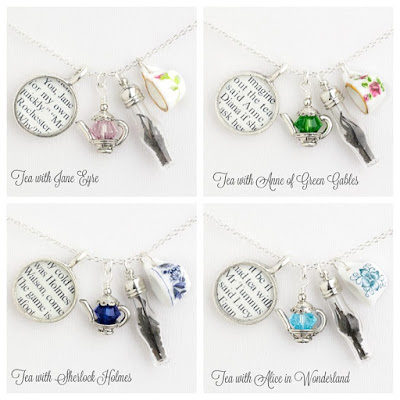 I adore these miniature necklaces whose charms correspond with a classic novel. The teacups and teapots are so tiny and cute! I am squealing like a little girl over these. 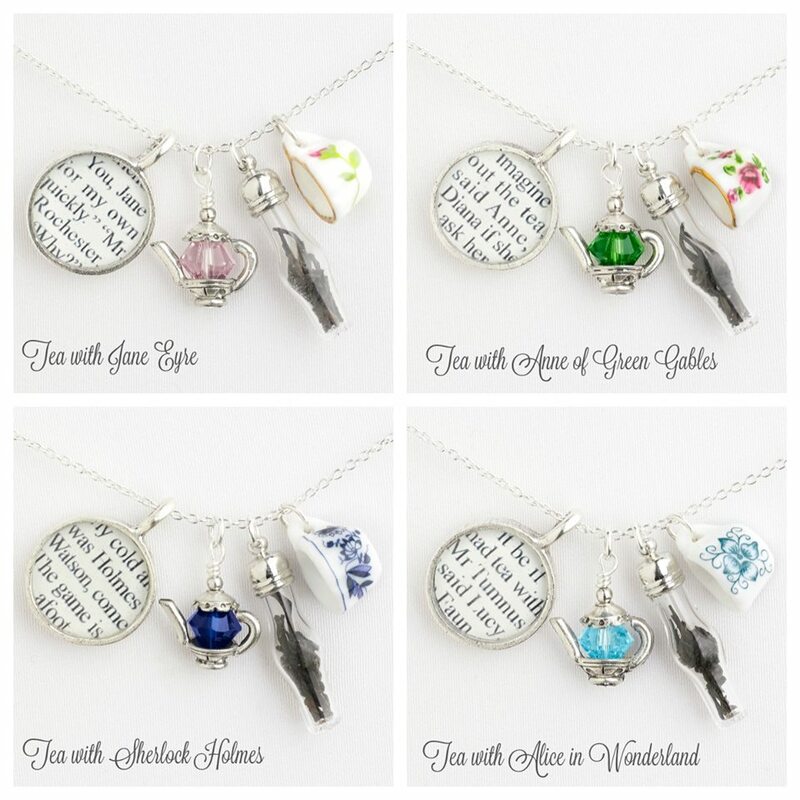 Did you notice that the round pendant has a tidbit from the corresponding book? That makes them even more cute!! Oh! And the name...Novelty....Novel-Tea....Get it?